AMD’s President and CEO Dr. Lisa Su made an exciting revelation yesterday during the company’s 1st quarter 2018 earnings conference call indicating that 7nm GPUs are much closer than we might have thought. Dr. Su announced that AMD has working 7nm GPUs running in the Radeon Technologies Group labs right now. Specifically, 7nm Vega which is expected to begin sampling later this year. Earlier this year at CES AMD announced that it’s working on a 7nm Vega based graphics processor optimized for Artificial Intelligence (AI) and Machine Learning workloads. Dr. Su’s remarks yesterday evening confirm that the company has gotten silicon back from the fab and is currently testing the chips. later in a question and answer segment of the earnings call, Su also confirmed that 7nm Vega is manufactured at TSMC, rather than Globalfoundries. A decision that was likely influenced by the maturity of TSMC’s 7nm manufacturing process. Earlier this month we spotted a peculiar piece of code in a Linux patch that makes reference to Vega 20 by name. The patch introduced support for more than 50 new Vega specific hardware-level features and we stated that this indicates that AMD could be approaching final post-silicon testing and validation of Vega 20. Thanks to Su’s announcement yesterday, it turns out that’s exactly right. 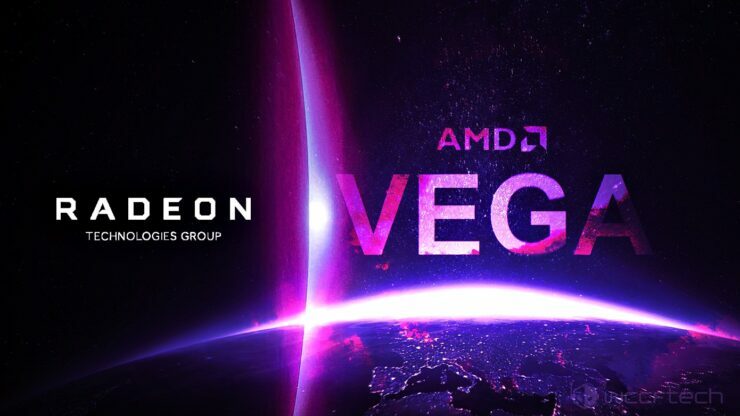 We brought you news of Vega 20 in as early as January of 2017. So we have known about AMD’s plans to introduce a high performance Vega chip based on the 7nm process for quite a while. Confirmation of such a project, however, did not come until exactly a year later at this year’s CES back in January. Although the company still does not refer to its new 7nm Vega chip as Vega 20, previously leaked internal AMD slides clearly describe a 7nm based “Vega 20” GPU that’s specifically designed for AI and intended for market entry in 2018. Vega 20 differs from Vega 10 in several key aspects. In that it’s designed to deliver 8 times the double precision compute performance, double the memory interface width and support for up to 4 HBM2 stacks for a total of 32GB of HBM2 vRAM and 1TB/s of memory bandwidth. Vega 20 will be AMD’s first chip designed specifically for AI and machine learning workloads and it’s set to compete with NVIDIA’s Volta based accelerators, including the Quadro GV100 and Titan V.